Priced to sell! Premium location-Temeku Hills, 2422 Sq ft home on a cul-de-sac featuring 4 bedrooms and 2.5 baths. As you enter the home you are met by the spacious open concept formal living and dining room. The kitchen has a walk-in pantry, recessed lights, and conveniently opens up to the family room. The family room includes vaulted ceilings, cozy fireplace, entertainment nook, and lot's of natural light. Main floor office that can easily be a possible 5th bedroom!! The spacious master suite comes complete with high ceilings, ceiling fan, large walk-in closet, and master bath with dual sinks and tub. All other bedrooms include ceiling fans. Newly updated turf in front and in Super Sized back yard with newer patio cover. Home needs some TLC. Views of the golf course and located in the desirable Temeku Hills Community. The fabulous amenities include a year-round heated pool & jacuzzi, ballroom, fitness center, game room, social meeting spaces, tot lot, clubs & classes, tennis courts/basketball court, & social events. Centrally located in the heart of Temecula, close to Wine Country, Old Town, Promenade Mall, and the freeway.. Low HOA and taxes! Close to Wine Country and Near award winning schools, parks, shopping, and entertainment! Temeku Hills Location**Hot Buy**Ok, here it is, reverse investor home. ***Seller will pay up to $35,000 in improvements Home needs painting, flooring, kitchen and bath tune ups. This way you get to have the home you want. You pick paint colors you pick flooring you choose the kitchen counter tops... YOU CHOOSE THE RENOVATION, you can make this home immaculate and turn key Use the $35,000k in any way you choose to or lower the price...(bids to repair close to this but less) fish/turtle/water feature in back(no guarantees on that) Covered back patio. Public golf close by parks much more....there also is a 6.5Kv solar electric system on roof. Very close to HOA amenities, park, walking trails and clubhouse. Home located near wine country. Great opportunity for investors. Home does need TLC.. Built in 2001, this Temecula one-story offers a fireplace. Year-round heated pool and jacuzzi, tennis courts, and basketball court are part of the HOA.Home comes with a 30-day buyback guarantee. Terms and conditions apply. Welcome to this beautiful & spacious 4 bed, 3 bath home w/over 2,500 sq ft of living space in the desirable community of Temeku Hills. This pristine home w/one owner has been upgraded w/so much to offer including plantation shutters, dual pane windows, recessed lighting, new ceiling fans & crown molding throughout. The kitchen has been upgraded w/granite counter tops complimented & tumbled marble back-splash, built-in oven, microwave & dishwasher stainless steel appliances, custom wood cabinets w/convenient pull out drawers, large island & kitchen nook overlooking the backyard. Kitchen opens up to a supersized family room w/plenty of windows & natural light, brick fireplace for those cozy nights, built-in cabinets along the back wall with pull out drawers and a convenient built-in desk area with granite counter top. Family room has additional 200 sq ft that is not showing in total sq ft of the home but was part of the original floor plan which the owners opted for instead of the tandem garage. Double doors take you into a large master suite w/high ceiling and a large bathroom w/ dual sinks & separate shower & bath tub. Did I mention the custom built walk-in closet w/locking drawers, tie racks, shoe rack and plenty of room for two. The laundry room is conveniently located on the second floor w/plenty of storage and you'll even find an alcove upstairs that can be used as a bonus room/den/loft/office. This home has pride of ownership written all over it, come see to appreciate! Highly desirable single story with a view in the centrally located Temeku Hills neighborhood. This open-floor plan home, with over 2,000 square feet of living space, features three bedrooms and two bathrooms. There is a patio which runs the width of the house which provides a shady entertainment area from which you can enjoy the views. There is a spacious family room with a fireplace which opens to the kitchen to provide a wonderful entertainment and family-fun life-style. There are neutral tiles throughout the living area and plantation shutters. There master bedroom has a large walk -in closet and a bathroom with a separate shower and soaking tub. There are two good size secondary bedrooms with mirrored closet doors and another full bathroom. THis home has been meticulously maintained and is super clean and move-in ready. Temeku Hills is an amazing community that acts as a gateway to the Temecula Wine Country in Temecula. Temecula is a beautiful city located in the growing community of southwestern Riverside County, California. Temecula is bordered by Murrieta on the northwest, the Pechanga Indian Reservation on the south, and unincorporated areas of Riverside County on all of its other borders. There is very easy access in Temecula to Interstate 15, Interstate 215, as well as California SR 79. With neighboring Murrieta, Temecula forms the southwestern anchor of the Inland Empire, and is almost equidistant to San Diego, Los Angeles, and Orange County. This makes Temecula ideally situated to all that Southern California has to offer. Beautifully built around the Temeku Hills Golf Course, this community offers potential homeowners resort-style living in one of the most stunning areas of Riverside County. Established in 1997, the community was developed by the McMillin Companies and was fully completed in 2003. There are approximately 1,340 single family homes in this development, offering potential buyers a variety of homes to choose from. Whether you’re looking for an excellent place to raise your family, or you want to search out a home in a wonderful neighborhood, then shopping for a home in Temeku Hills is for you. Homeowners in Temeku Hills have access to a plethora of retailers, restaurants, and entertainment venues in the Temecula area. Plus, Temeku Hills residents have access to a variety of community amenities including a fully equipped clubhouse and access to championship golf courses on top of the Temeku Hills golf course in Temecula. If you have a family with children and education is of concern, you will be happy to know that residents of Temeku Hills have access to quality, award-winning facilities. For additional information on schools serving the Temeku Hills community, you can easily access their individual websites: Vintage Hills Elementary School (http://vhes.tvusd.k12.ca.us/), Margarita Middle School (http://mms-tvusd-ca.schoolloop.com/), and Chaparral High School (http://chs.tvusd.k12.ca.us/). Homes in Temeku Hills offer a comparatively low tax rate for all the wonderful amenities this community provides. Plus, potential residents will be happy to know that HOA fees are very reasonable. The Temeku Hills Homeowners Association (http://temekuhillsma.com/) is managed by Walters Management. The HOA can be reached via Walters Management at 25109 Jefferson Ave., Ste. 300, Murrieta, CA, 92562, and their office # is: (951) 698-8511. If Temeku Hills seems like the right community for you or your family, we invite you to contact us. Explore this beautiful community with one of our qualified and knowledgeable Temeku Hills Real Estate Agents today! If you’re already working with a Real Estate agent, please utilize your agent’s website & direct expertise to aid in your home search. We are only able to directly serve our own clients. Thank you for your interest in the Temeku Hills community, and we wish you the best of luck with your Real Estate needs. Whether you are contemplating buying or selling a home in Temeku Hills, it is important that you hire the right team that fits your needs. We roll out the red carpet for buyers & sellers alike, and ensure you have access to us 24/7, as we aim to earn your business for life! 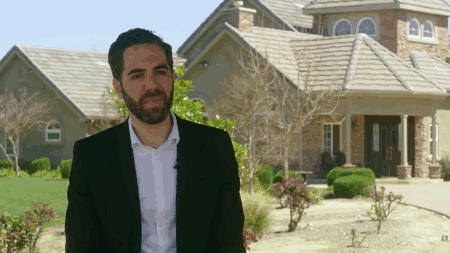 We understand the market well, and you will not find a more qualified Temeku Hills real estate agent to help you with all of your Real Estate needs! As a buyer, you will have access to Temeku Hills listings the second they hit the market, which gives you a leg up on the competition. As a seller, your home not only will be featured on one of the top Temeku Hills sites on Google, but we also will syndicate your home to hundreds of other sites, hold weekly open houses, send out postcards, and much more! We have helped dozens of buyers & sellers, and look forward to helping you as well! Back on the market as of April 18th at 8:24am, this home was originally listed on April 17th in 2019. The property is being listed at a price of &dollar;500,000 , the same as its original list price. This 4 bedroom, 3 full baths residence is located on Royal Oaks Drive, one of the nicer areas of . With a total size of 2,380 square feet, this spacious home comes in at &dollar;210.08 per square foot. That's 2.81% higher than the neighborhood average. There are also 3.00 garage spaces available for parking. Originally built in 2003, this 1-story home sits on a 6,534 square foot lot. Listing provided courtesy of Goran Forss at Allison James Estates & Homes.